With beautiful art like that, what’s not to love? This review is based on the review copy provided by Focus Home Interactive. Masters of Anima is by far one of the best games I’ve played this quarter. With a concept that’s unique and compelling and art that’s astounding, I have plenty of love and appreciation in its entirety. The world of Spark is powered by an essence called Anima, which is also used by Shapers to summon guardians capable of following the user’s will. You are Otto, a Shaper apprentice who is thrown into sudden chaos right after completing his test to become a true Master of Anima. His fiancée Ana the Supreme Shaper, is attacked by the evil Sunder Lord Zahr who steals her essence and separates them in three parts as a beginning to his plan to unleash violent and fearful Golems all over the world. Otto must travel and fight off Golems with his Guardians in hopes of finding Ana’s heart, mind, and body to make her whole again. I’ve mentioned this at the very beginning, that this is a concept that’s unique and compelling. 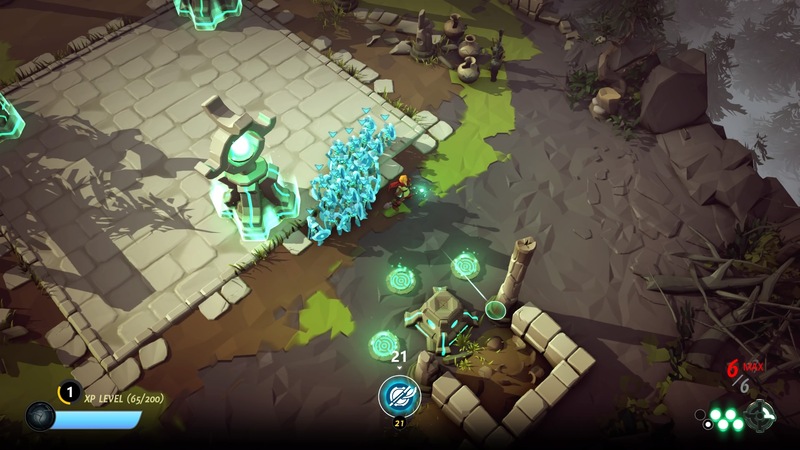 Otto, a Shaper, can summon a variety of Guardians on the map to aid him in defeating Golems. As Anima is a major part of the game, Otto must collect Anima orbs to be able to summon his Guardians. Throughout levels, Otto also learns to summon new types of Guardians that you must learn to use harmoniously. The very first you’ll learn to summon are called Protectors. They are the muscle of the pack and are summoned in fours. They have axes and shields and are good for close quarter combat. Sentinels, meanwhile, are archers. Also summoned in fours, however more vulnerable than Protectors. Their long-range attack goes best with the distraction Protectors can provide. Keepers are Guardians that drain Anima from Golems to give to Otto. While it may be difficult to collect Anima while in battle, Keepers provide a steady supply. Commanders are Guardians that can lead a number of other summoned Guardians. Positioned correctly and they can aid Otto as he unleashes his special Battlecry that triggers the Guardians’ special moves. Lastly, Summoners, are exactly that — summoners. They summon little “moppets” (like animated puppets) to attack a Golem locked on by Otto. The moment you’ll master all five Guardians, you must then learn how to use them together, when to summon them, where to place them, and the timing you need to control them. 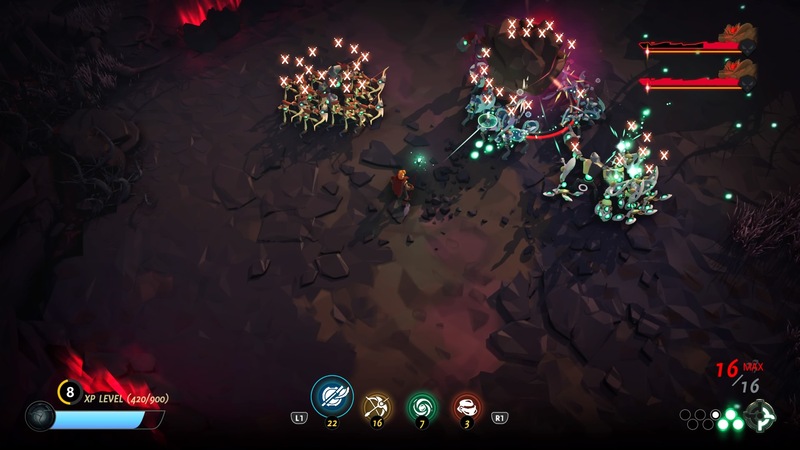 Master of Anima is, in short, an action-adventure, tactical strategy game that is initially difficult to expertly maneuver. 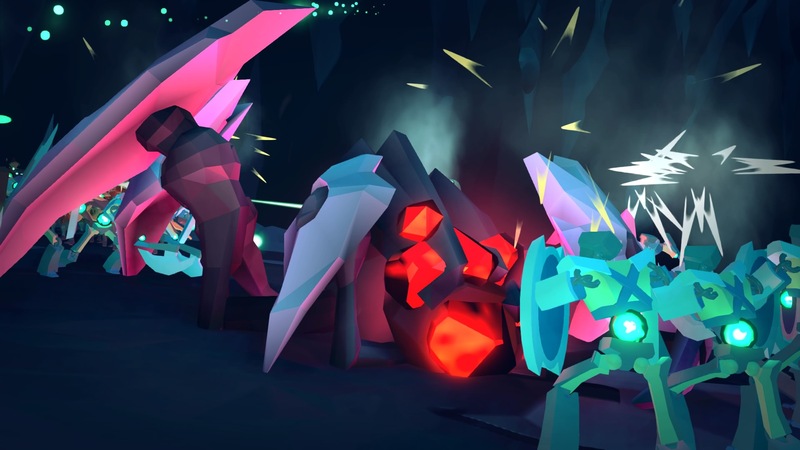 But instead of frustration, you gain determination in perfecting the right Guardian placements in intense Golem fights. I find this to be one of the best concepts I have ever encountered because of this system and the ability one needs to think and strategize quickly and effectively. I have played levels and areas, again and again, to get an S-ranking on every match; this was how competitive the game made me. In that regard, the levels are indeed completely playable. There are collectibles scattered in the world that can help Otto increase his life and Anima storage. One may also need to repeat levels anyway to grind experience points and set the skills for Otto and his guardians. So though the story may be short, the game allows repeated gameplay that feels just as intense as your first playthrough. The lore, in its entirety, is amazing. Definitely unique and interesting, the story of Shapers, Sunder Lords, Anima, and the Spark is one I would love to go into more. This is where my problem lies, that though I would have loved to get into the lore more, the game did not provide me that. I am immediately thrust into the feud between Zahr and the Shapers, but I have difficulty in understanding the former’s motives. I felt that there was a history that needed to be addressed but wasn’t. Zahr is, albeit incredibly evil, he does not make for the best villain in a story. I must, however, applaud the excellent writing in Ana’s character. It may be in part because of the amazing voice acting she was provided with that made her the most interesting character in the game despite not being the main hero of the story. She was made to be the damsel in distress, but her character was explored more because of the variety her personality was given. In some instances, I felt that this was her and Zahr’s story more than it was Otto’s. Perhaps a prequel would be something the developers may consider doing to delve into the lore further and explore Zahr’s and Ana’s history. I can see that this world that they have created has a lot more to offer that could not fit in this one game.